To finally get to the point... as i'm sure i've well and truly said many times before, i'm only a novice when it comes to PC's. I'm pretty sure all the games i have on my PC aren't even using my PC's full potential when i play them, but that's because i simply have no idea what most of the settings even mean when i look at them or which is the best level of them to chose. So to FINALLY get to the point... would one of you wonderful lovely nerds please be willing to do me a favour and (using my PC specs listed here) upload a copy of Dolphin Emulator 5.0 with all the best settings already programmed in it for a PAL copy of Luigi's Mansion to something like Mega.nz or Google Drive etc. so i can just simply download it, select my Luigi's Mansion ISO and just start playing it... because i wouldn't have a clue what to select? I'll be very appreciative if any of you could. Thanks. The default settings are the best. Besides, if a game needs any specifics to run correctly, those will get changed automatically once the game loads. You should be fine with using the default settings. You might wanna use the latest master though, since Rumble for Luigi's Mansion was only fixed recently. (04-28-2018, 04:01 AM)spycrab Wrote: You should be fine with using the default settings. You might wanna use the latest master though, since Rumble for Luigi's Mansion was only fixed recently. Got a Wavebird controller so... yeah Thanks for the advice though. As said above, use the latest dev build at all cost. 5.0 stable is old now, and major, really major updates came after. 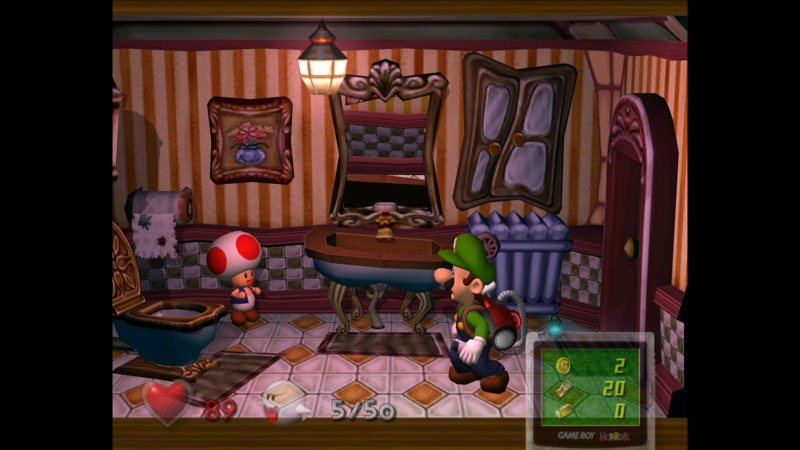 For Luigi's Mansion, you won't have any issue with the default settings. Expect Luigi's mouth flickering in the intro cutscene when he's walking in the woods, disable Dual Core to fix that. To my knowledge, the remaining graphical glitches/inaccuracies are in a bathroom, in the mirror. It moves as you move. Verified that the mirrors are working fine. Really ?? I just tried the latest build, I still have the mirror glitch. I tried every settings. I did OpenGL and D3D 11.